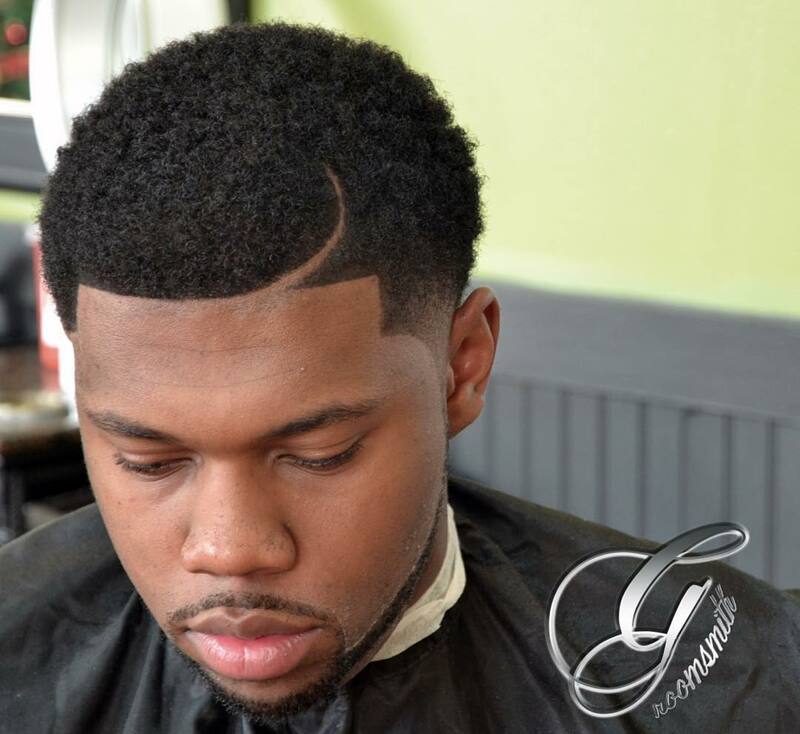 If you want to dip into the world of fades without making a major change, try a temple fade. Also known as a blow out or Brooklyn fade, this detail looks cool with every haircut and style. 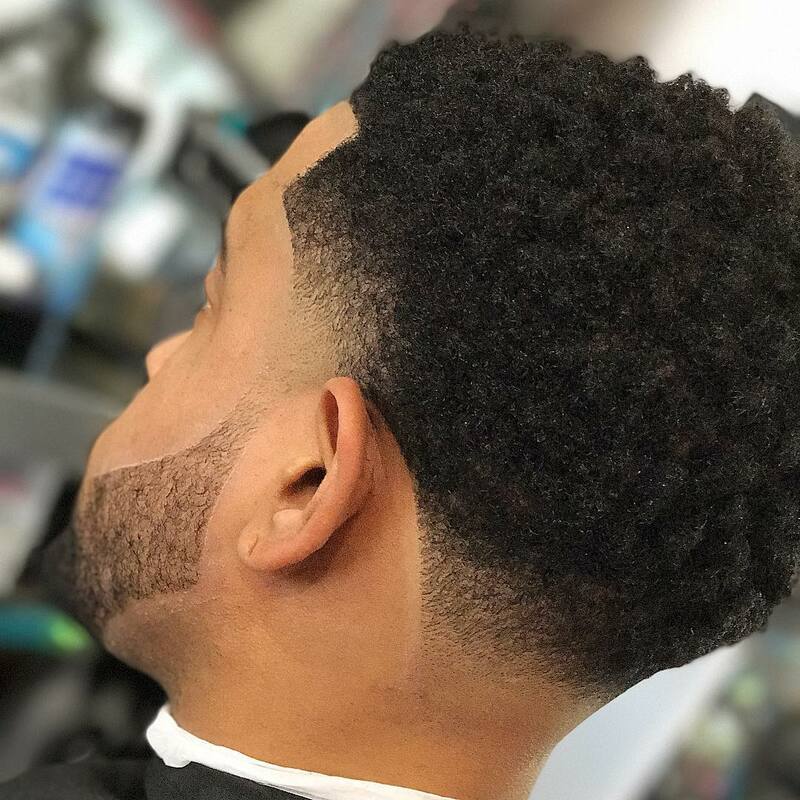 What is the temple fade vs the taper fade? The later refers to all kinds of fades including low, mid and high as well as the burst and drop fade. The former is exactly what it sounds like, a fade that limited to the temple. It essentially shaves off the sideburns plus a small area by the ear. It is a great addition to hairstyles for straight hair, curly hair as well as short and medium length hair. Check out 9 ways to get the look. It is a small detail but it elevates even a simple buzz cut. Like other other fades, this style can be worn with a beard. Hair is cut down to the skin at the temple and side burns and tapers back up into facial hair. Sure you can do a buzz cut at home but it won’t look this good. 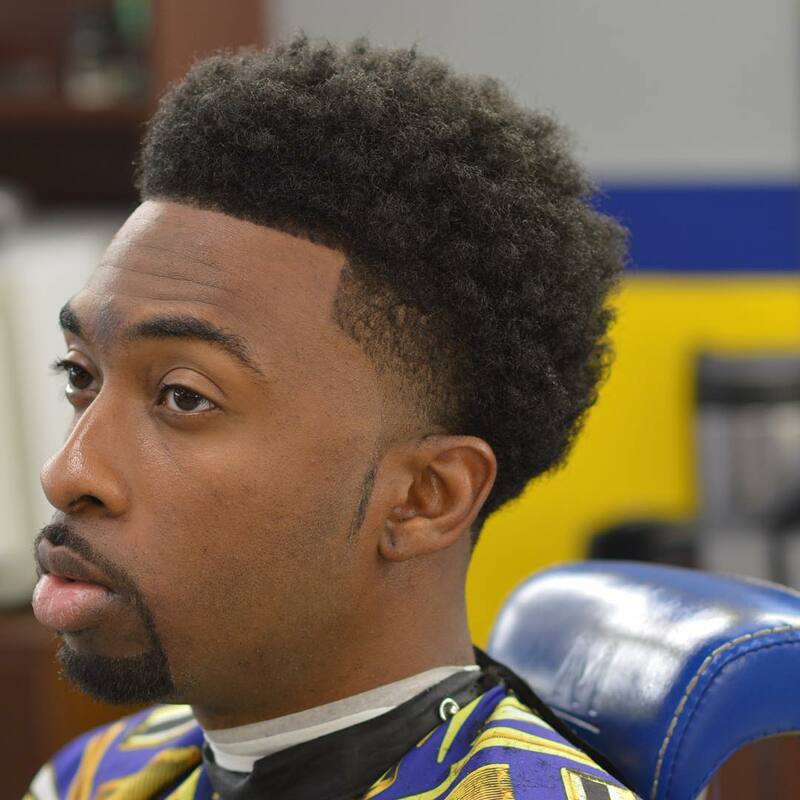 With a sharp edge up and low fade at the temples and neckline, this short men’s haircut has plenty of style. 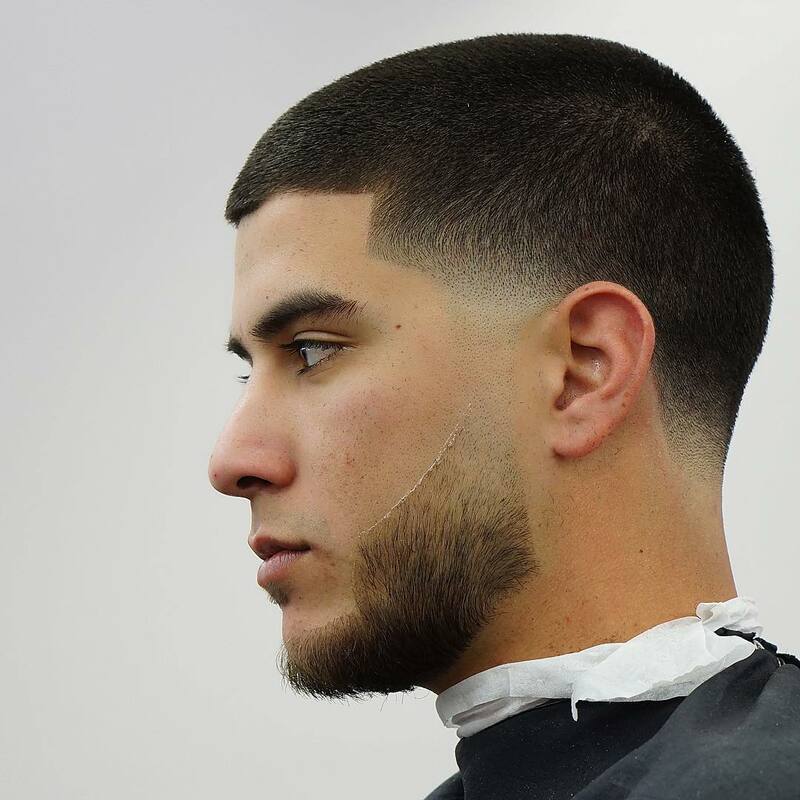 Unlike most fades that go all the way around the neckline, this fade is only at the temples so it usually paired with a neck taper to clean up the neckline. 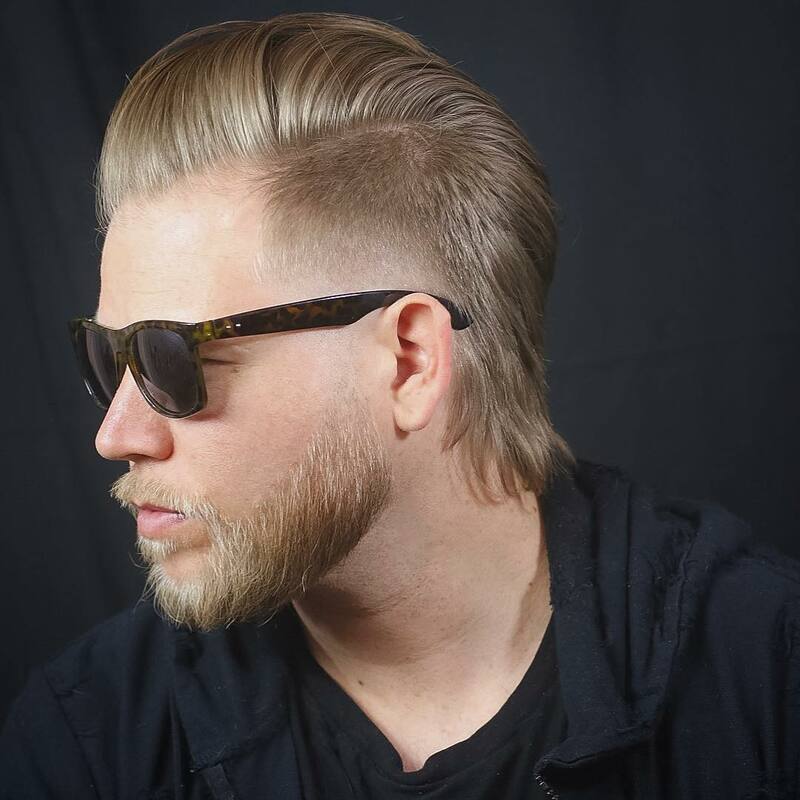 This type of slicked back hairstyle is most often seen with a taper of high fade. This cool version has a bit of both with a short taper all around and almost bald fade at the temples. Want to add a part? Go for it. 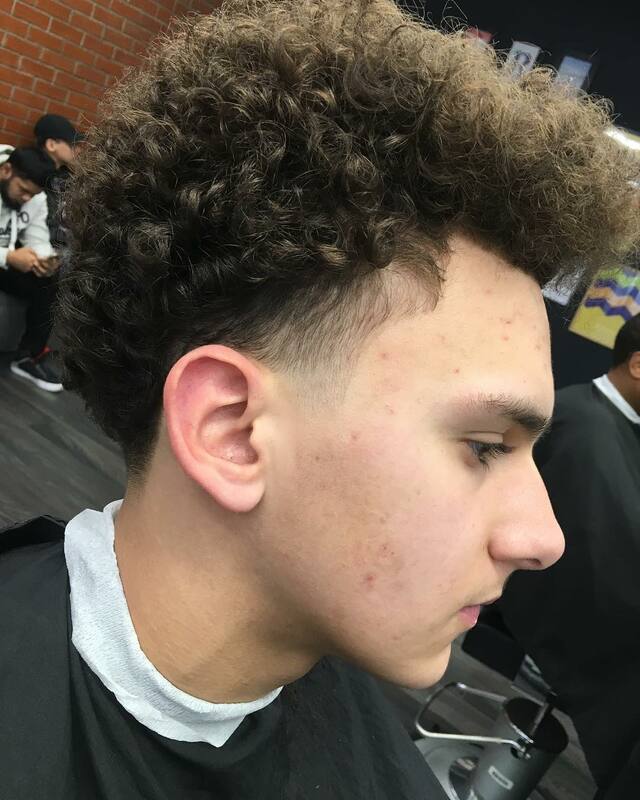 This hard part cut in an arc looks great in short curls but you could go for a straight line too. 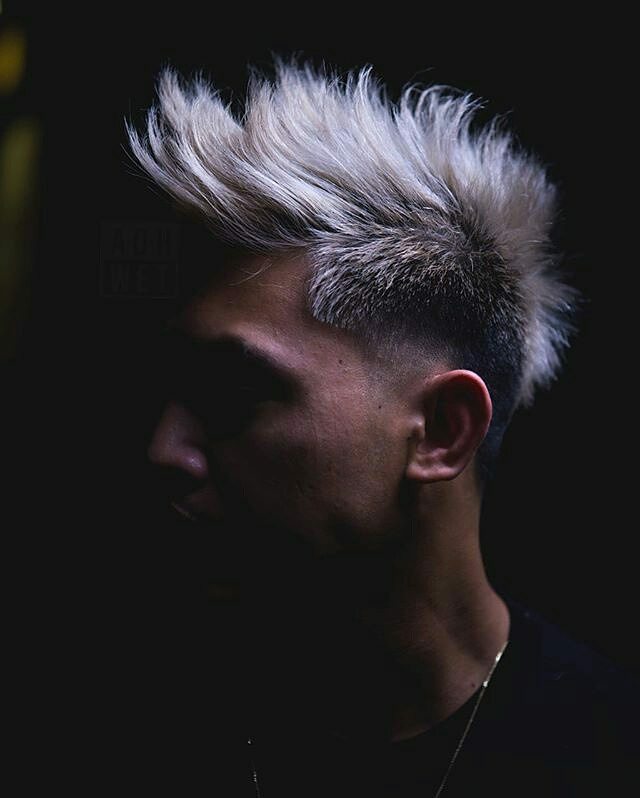 Other side part hairstyles would also work with this type of fade. 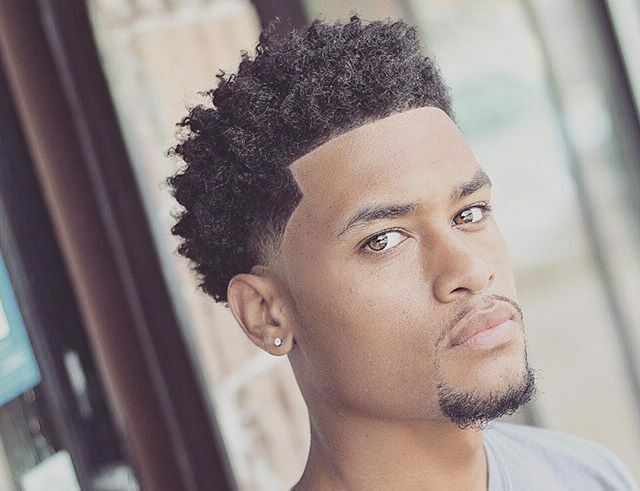 The Brooklyn fade is a cool way to add shape to curly hair. Shaved temples update this afro hairstyle for 2017. The blow out works with longer hair styles as well as curls. 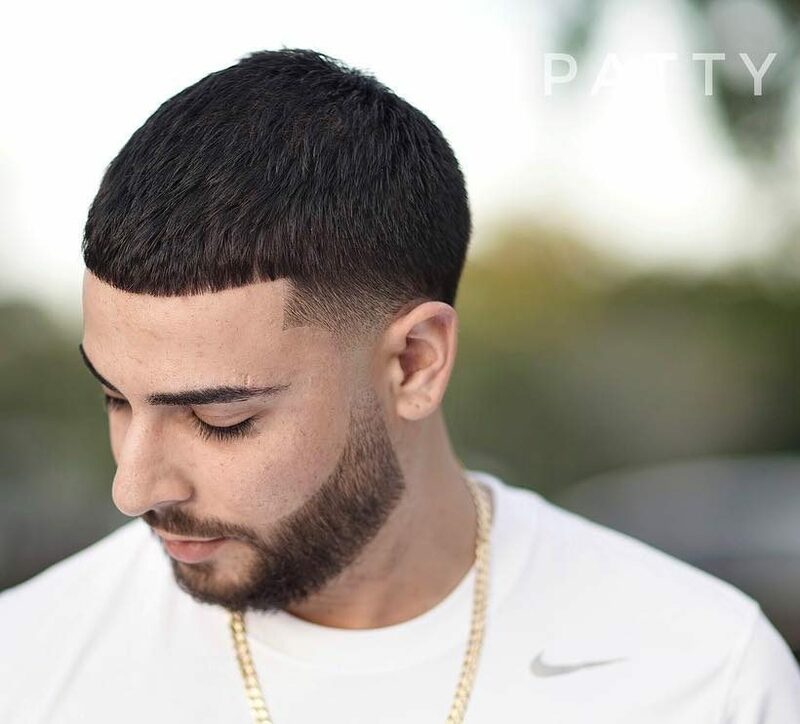 It’s a great addition to a medium length curly styles plus an edge up because hair is long all over with clean cut edges. 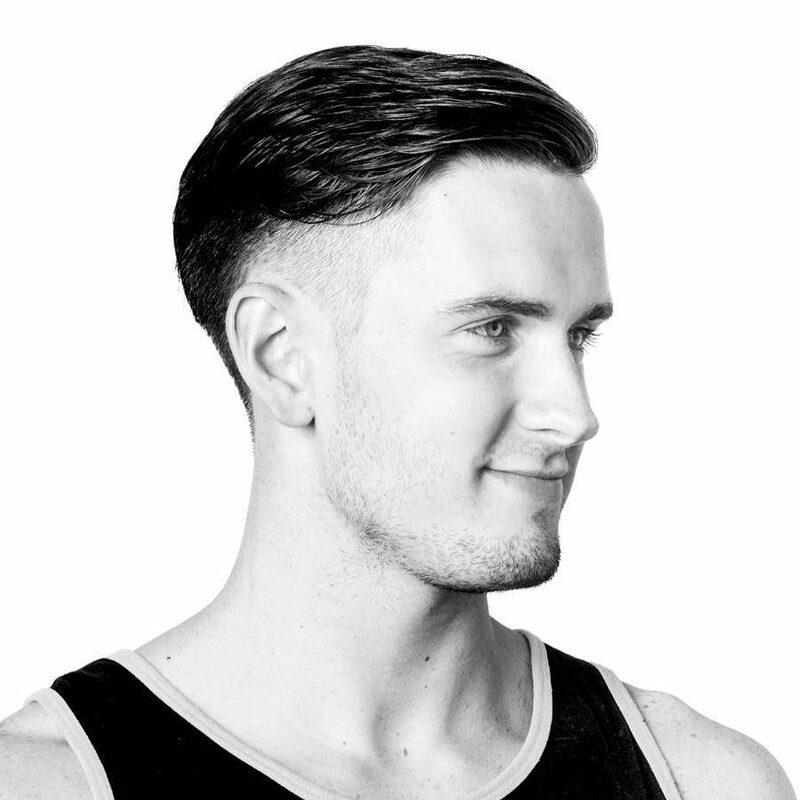 For longer curly haircuts, shaved temples create clean edges and a modern profile. A quick fade at the neck completes the look. 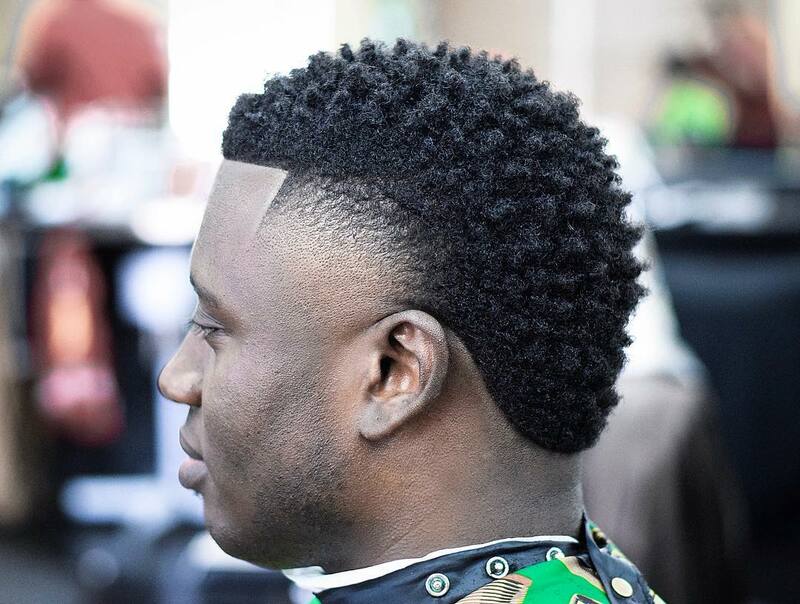 A popular and great-looking hairstyle for black hair is a mohawk with a burst fade at the sides. This is similar but the fade is concentrated at the temples instead of all the way around the ear. The blowout adds something to any hairstyle, even this eye-catching platinum mohawk. The hint of skin looks cool in contrast with the longer taper and spiky hair on top. This blow out hairstyle features a short cut with a hint of Caesar bangs. 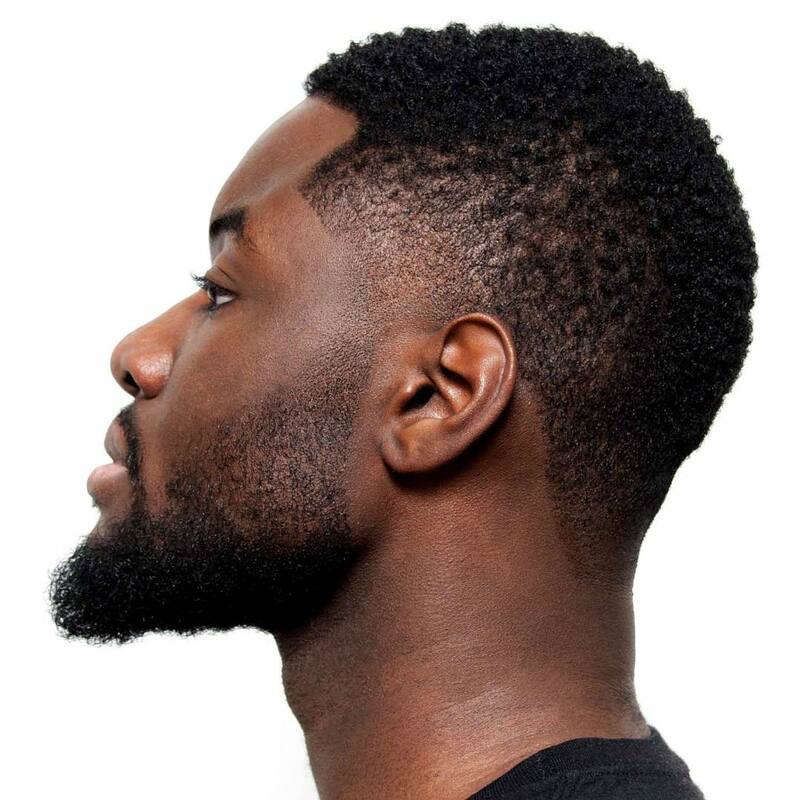 The fade at the temples and side burns works with the crisp edges of the hair and beard. If you’re looking for a way to update your favorite short men’s hairstyle, this is one way to do it. And for something a little bit different, the fade part of this pomp fade is limited to the temples up to the hairline instead of the usual high fade. It creates a bit of a mohawk profile that can also be styled in to this cool high volume slick back.